What happens when ground water is intruding on your home? - Disaster Restoration Services, LLC. What happens when ground water is intruding on your home? There are three main ways that ground water can enter your home, Basement seepage, water intrusion and sub pump failure. Excess ground water flooding is usually caused by abnormally large amounts of water not properly draining, which causes the groundwater to spread and intrude on a home. Basement Seepage- Groundwater can commonly find its way into your basement by going through the cellar doors, improperly sealed windows, or cracks in the foundation. It is a good idea to check your basement for cracks, holes, improper sealants, or areas where it looks like water can get through. Water Intrusion- Ground water can find its way into a home that is not properly sealed, or has cracks. Sump Pump Failure- It is common to find a sump pump in homes that are located in high water table areas. Sump pumps are meant to keep the area under a home dry and to prevent it from flooding. The sump pump usually sits in a specially constructed pit where groundwater flows in through drains or naturally, and the sump pump will pump the groundwater out and away from the home. Occasionally, a sump pump does fail. 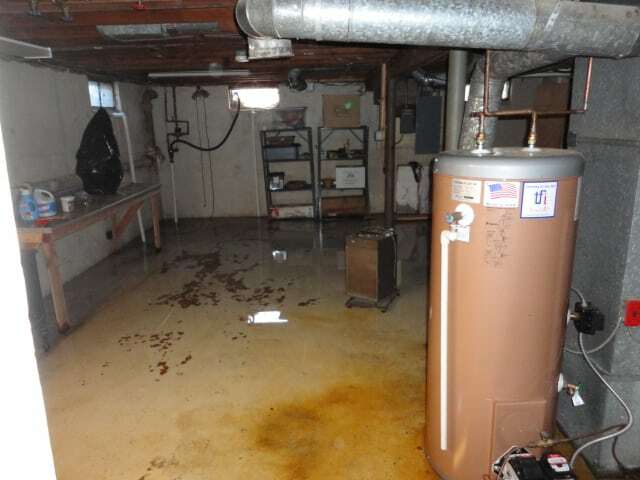 Whether improper insulation, maintenance, defects, clogs, or a power failure, if a sump pump fails, groundwater could end up overflowing through the sump pump and flooding your basement. If groundwater is coming in, make sure to try to stop the water coming in the best you can and wait until the water level has stopped rising to call DRS in. If you call a professional in while the water is still coming in very heavily, there would be a lot more charges associated with the job as they would have to keep repeating efforts as the new ground water would wreck any cleanup they had done. If the cause of the flood is due to a sump pump losing power, call a DRS immediately, DRS can supply a generator to start the sump pump again while drying equipment is set up to minimize damage.